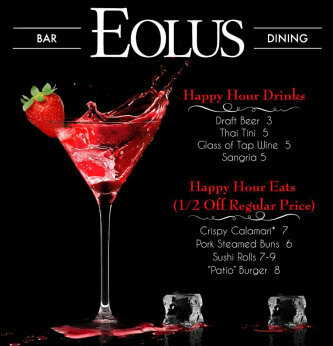 Eolus Bar & Dining - In the heart of Durango's historic downtown and shopping district. Featuring fine culinary treats, signature cocktails, sushi, fine wines and much more. Eolus Bar & Dining, located in the historic district, is Durango's premier fine-dining establishment. Featuring an ever-changing, diverse menu of fine meats, hand-made sushi, and even inventive vegetarian items, Eolus Durango prides itself on using local, sustainable, and organic products. Additionally, all their ciabatta bread, hamburger buns, truffles, ice cream, beignets, and other pastry treats are made from scratch with all natural ingredients daily. 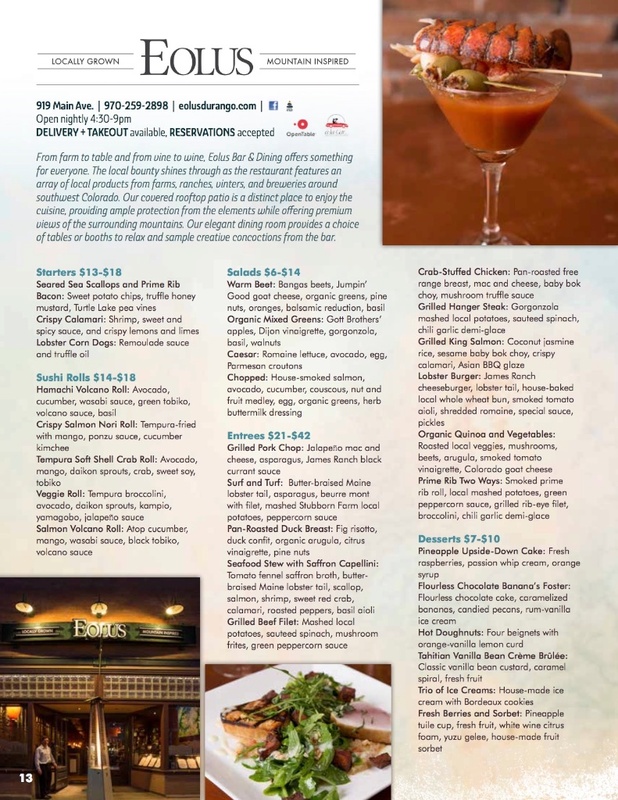 In addition to Eolus's succulent foods, they also are downtown Durango's choice for handmade cocktails, as well as a diverse fine wine list and cordial selection. In the warm months, Eolus Durango is THE place to enjoy fine dining and great drinks on the best patio in town! The roof-top patio at Cosmo attracts locals and visitors alike to enjoy the full-service menu, and the best views in town with rooftop bar and dining. Make a reservation today!